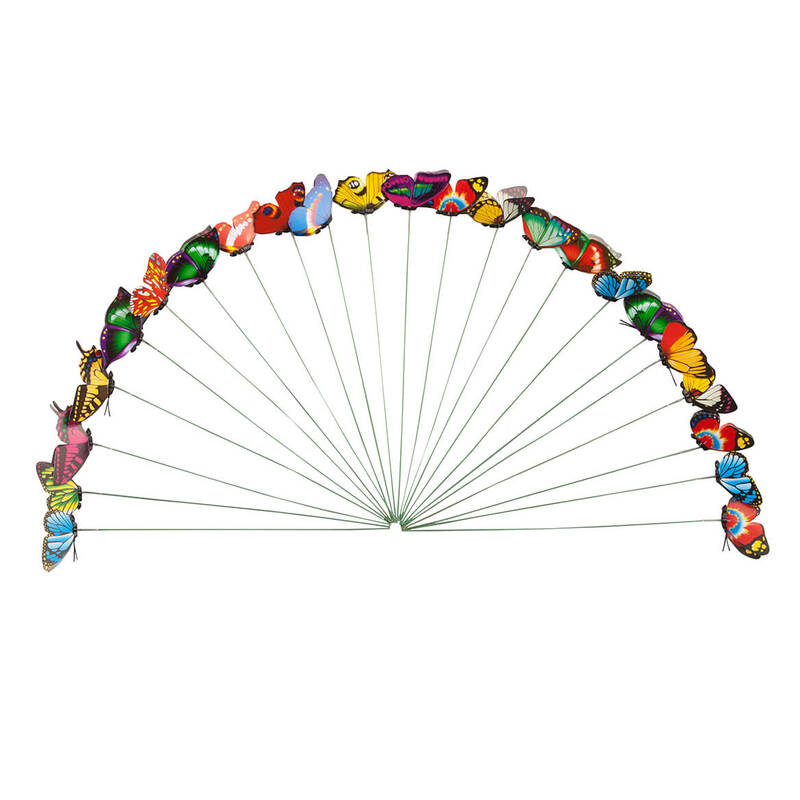 I have a garden that has a wall with butterflies and thought this would go great with them. I can put some in my flower pots to give them more character. 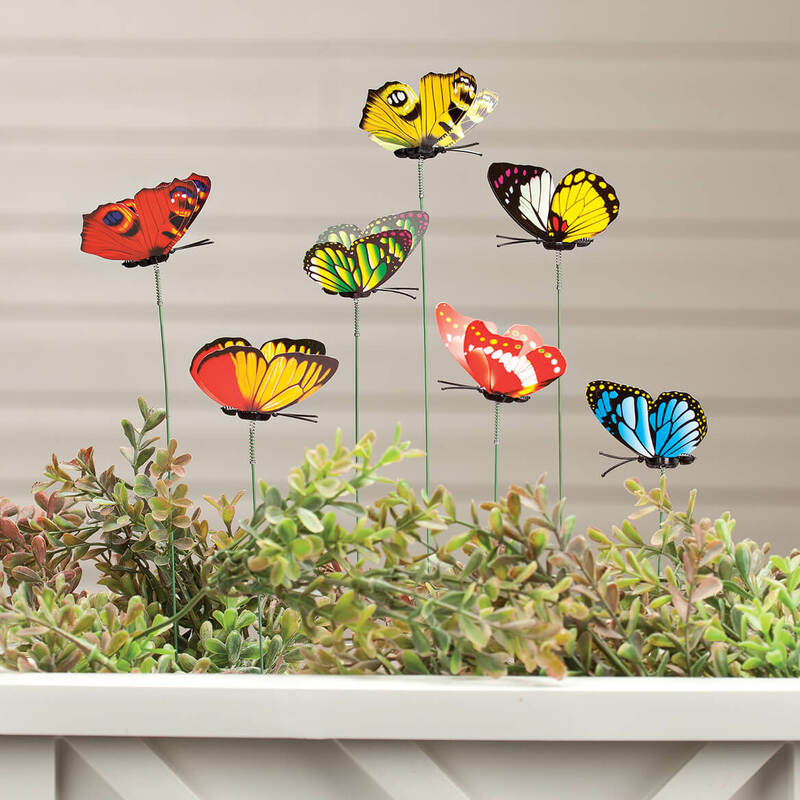 My granddaughter will love planting these butterflies in her yard! I think they will look great in front and back yard where my flowers beds are. My grand kids will think the butterflies are just in my yard. The butterfly planter is beautiful. going to use for decorating planters. For a neighbor who helps my grandchildren watch butterflies. Have a couple dozen perennial plants that attract butterflies in my flower garden and thought these would make a nice addition to the garden. Would look nice in garden. I chose the butterfly garden stakes to make my garden more beautiful. I love the bright colors . Will add alot to my garden . Love butterflies never see anymore real ones in the yard in the summertime so figured I put some in the yard, price was right & the amount of butterflies u get for the price. What is the size in inches of the butterflies ? BEST ANSWER: Thank you for your question. They are all 2 ¾” long and vary between 2 – 2 ½” high. We hope this information will be of help to you. Butterfly Garden Stakes, Set of 24 ~~~ how large are these stakes lengthwise and in height? BEST ANSWER: Thank you for your question. They are 9 3/4" high. We hope this information will be of help to you.